With ample respect for the terrific sets performed by Cat Power and Dirty Delta Blues (very smooth Jagger-at-Altamont impersonation by Greg), Don Cabellero, Poison Idea, Ted Leo & The Pharmacists, Angry Samoans and the Cave Singers, my fondest memory of last weekend’s Fun Fun Fun Festival in Austin concerns the oh-so-fickle audience. While Neko Case and Carl Newman (above, blocked by Dan Bejar in white) politely begged, nay, PLEADED in vain for a Rice Krispie treat from the Spider House cafe foodstand (the latter offering $20 for said delicacy), Don Cab’s venerable Damon Che’ — he of the other worldly Speaking Canaries — asked his adoring acolytes for some Tums. 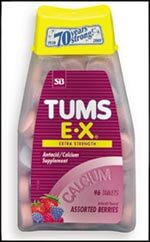 I don’t think I’ve ever seen someone get a pack of Tums that fast without driving their truck into a Rexall. yep – my NPs asking for something, really just mentioning something *to* the audience, occurred at Langerado. Carl said something about glowsticks, and where you get them. You can picture what happened. Langerado is a little jam-band-centric, and there must have been a store, somewhere, having a “buy ’em by the gross” special on glowsticks. Apparently, according to Carl, they don’t have glowsticks in Canada – something to do with tariff restrictions, or the Patriot Act, or something. I was hoping that some of them would bust and shower the band with glowing, nontoxic (I think) goodness. but that didn’t happen. The story would be better like that, so I think I’ll tell it that way in the future.